A lot of iOS users use iTunes as their primary music player and iDevice file management/syncing tool. iTunes stores and syncs all your device media in its library. There could be a number of reasons you might want to erase iTunes library i.e. starting fresh, changing Apple ID, etc. There are a number of ways to wipe iTunes library. One of the fastest and the easiest ways to wipe iTunes library is to use a third-party tool called iMyFone TunesFix. Although TunesFix has been mainly designed to help iOS users fix various iTunes issues, it also has two powerful iTunes cleaning modes that you can use to quickly wipe your iTunes library. The cleaning process is automatic so it is very user-friendly and suitable for both beginner and advanced users. There are many other features of this software. Erase iTunes library in just a few steps. Quick Clean mode removes iTunes media, backups, logs, cache, update files, etc. Deep Clean on the other hand, cleans iTunes data as well as hidden backups created by third-party tools. Fix any kind of iTunes issue with just one-click. Full Uninstall mode allows you to completely uninstall iTunes with one-click. Step 1: Install and launch iMyFone TunesFix on your Windows PC. Step 2: Once you see the home interface of TunesFix after its automatic scanning, click on Quick Clean mode. You can also choose the Deep Clean mode if you want to clean iTunes data along with any backups created by third-party tools. Step 3: On the next screen, click on the Scan button. 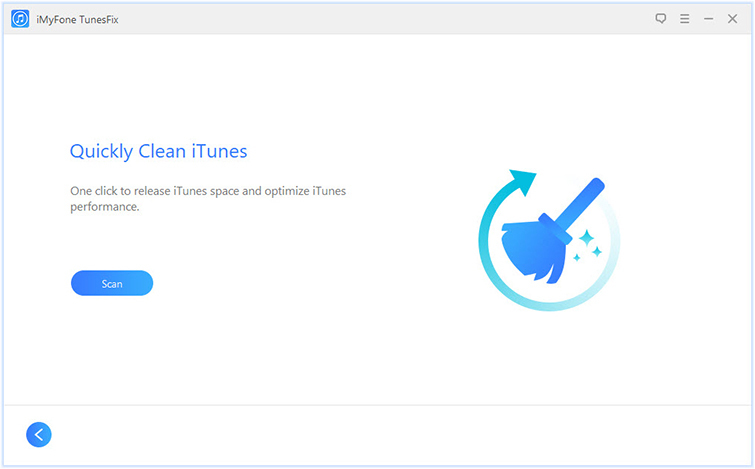 Step 4: Once the scan is completed, choose the types of iTunes data you wish to clean and then click on the Clean button to start the cleaning process. If you don’t want to use third-party software to wipe iTunes library, then you will be glad to know that you can wipe the library by manually deleting iTunes library file. Keep in mind that this method will reset everything in iTunes and all your library lists, apps, listings, playlists, etc. will be removed. So, creating a backup first is recommended. Step 1: Close iTunes if it is opened. 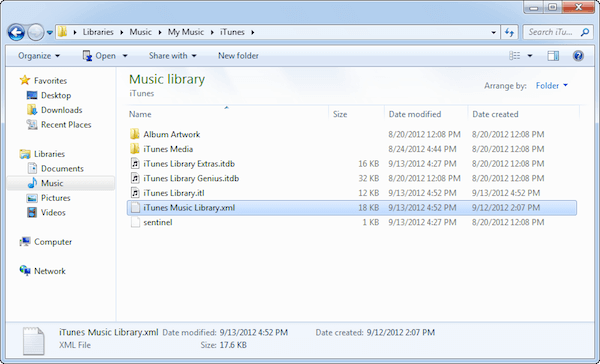 Step 3: Once in the folder, find and right-click on the file called “iTunes Music Library.xml”. After that, click on “Rename” then rename the file as “iTunes Music Library.old”. Step 4: Now find another file called “iTunes Library.itl” and rename it as “iTunes Library.old”. Step 5: Now launch iTunes. You will see that the iTunes library is wiped and all your ratings, playlists, etc. are cleared out. 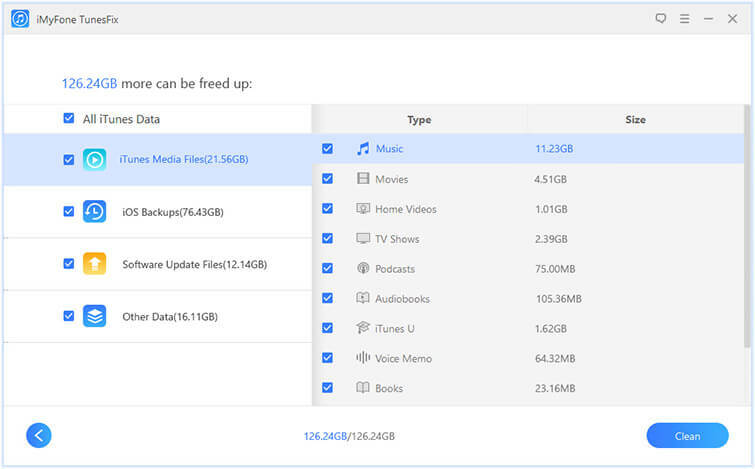 iTunes will automatically create a new library for your media files. There is another method to wipe iTunes library on both Windows and Mac. In this method, you will need to manually select all the files in iTunes and delete them. Since you will need to select files in different categories, this method to erase iTunes library is relatively lengthy. Step 1: Launch iTunes on your Windows PC or Mac. Step 2: In iTunes, navigate to the list of media that you wish to wipe. Step 3: If you are using Mac, then press and hold ‘Command’ button and then press ‘A’. If you are using Windows, then use ‘Ctrl+A’. All the files in the list of media will be selected. Step 4: Now press the ‘Delete’ key and then confirm your action by selecting the ‘Delete Items’ option. Step 5: Repeat these steps for deleting media in other categories. There could be a number of reasons why you would want to wipe your iTunes library. Fortunately, wiping iTunes library is quite easy and there are a number of methods available. Before you use any manual methods for this purpose, it is recommended that you give iMyFone TunesFix a try. 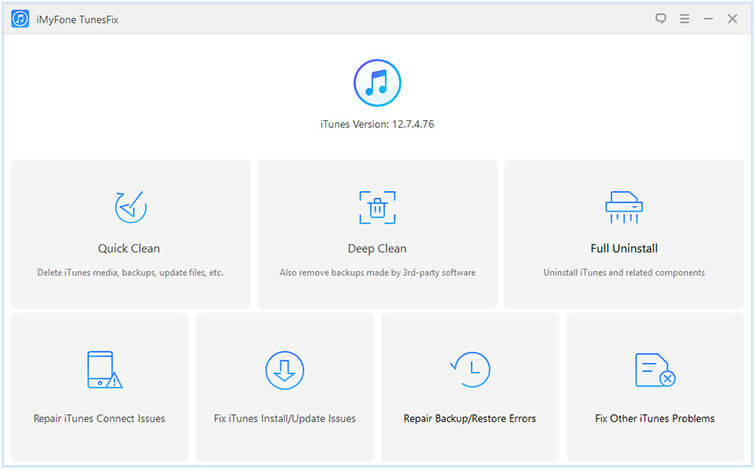 The reason TunesFix is recommended for wiping iTunes library is because this method is automatic, fast, and user-friendly so it will save you a lot of time and effort. If for some reason you don’t want to use a third-party software for wiping iTunes library, then you should use any of the manual methods listed in this article. 3 Best iTunes Library Cleaners – Your Should Not Miss!